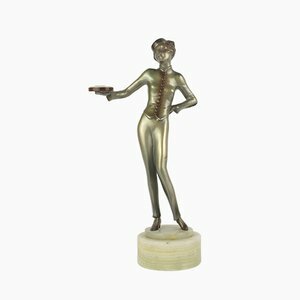 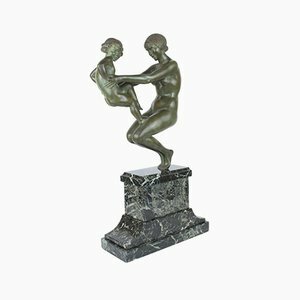 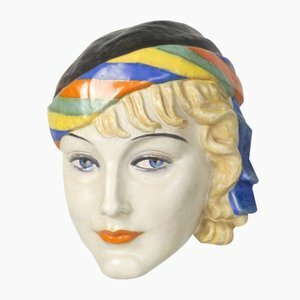 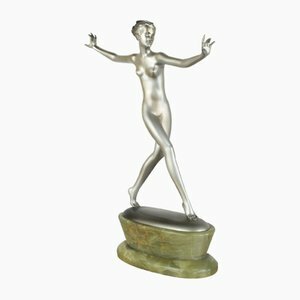 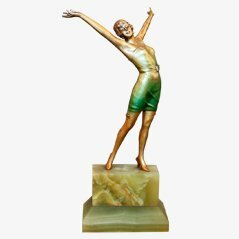 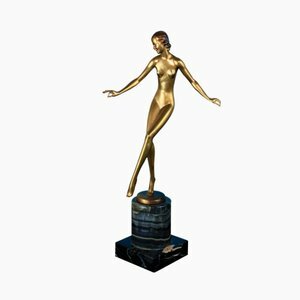 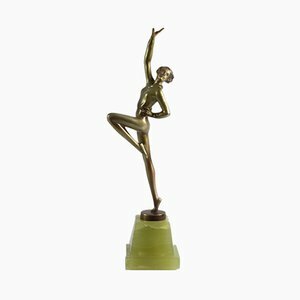 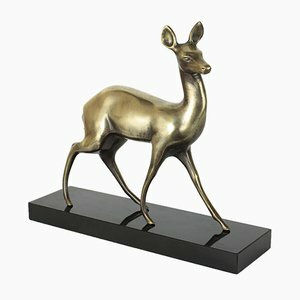 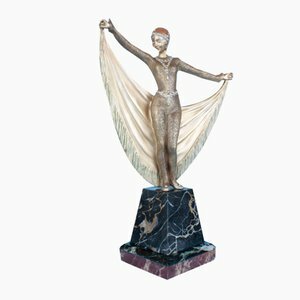 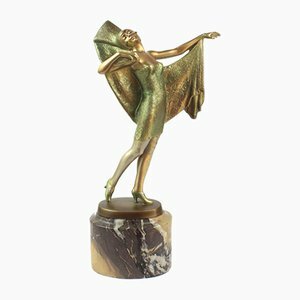 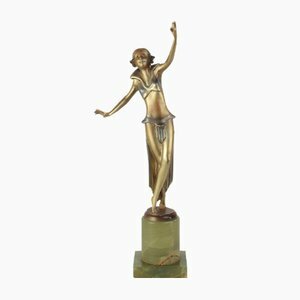 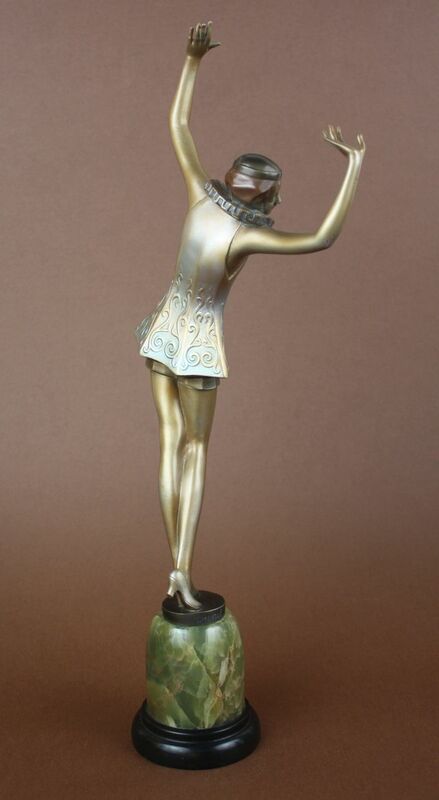 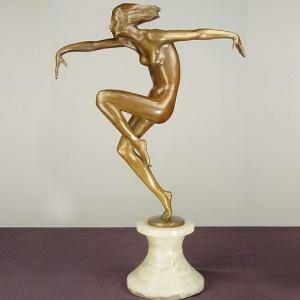 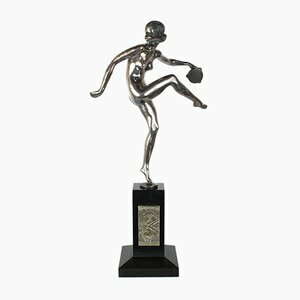 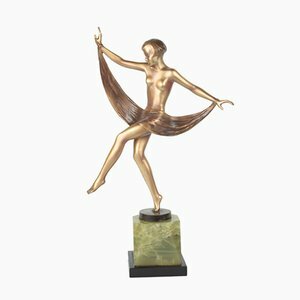 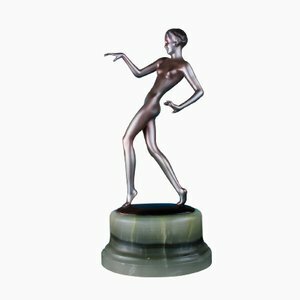 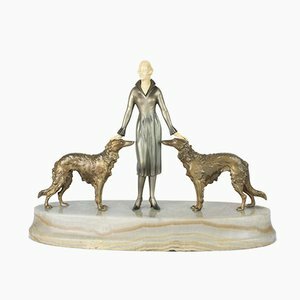 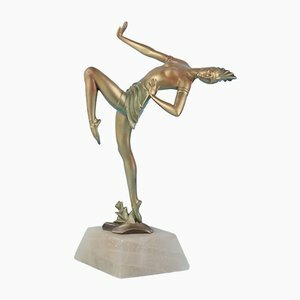 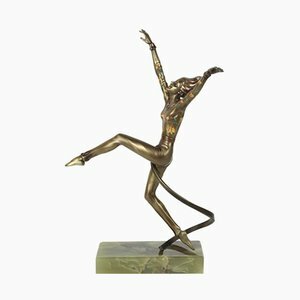 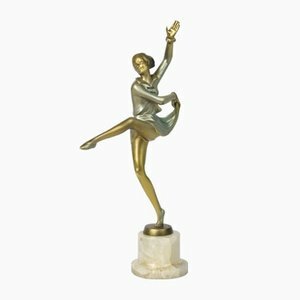 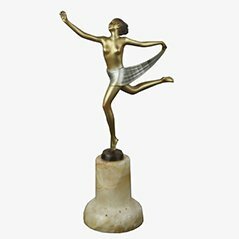 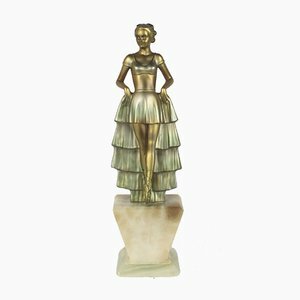 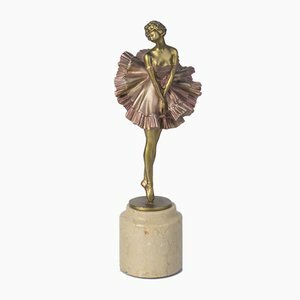 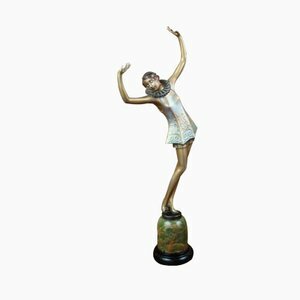 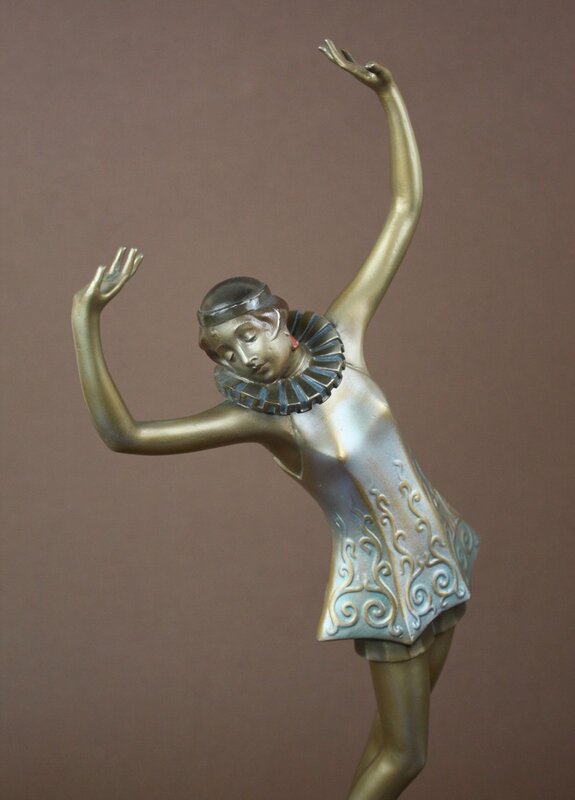 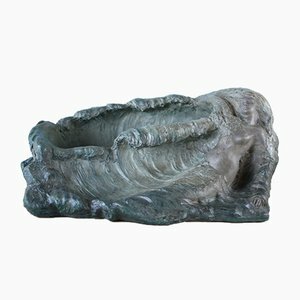 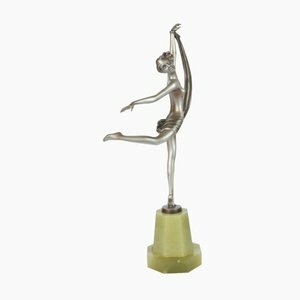 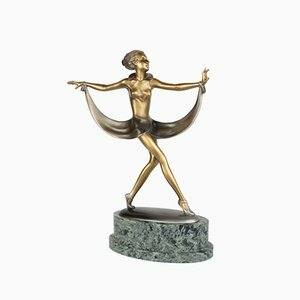 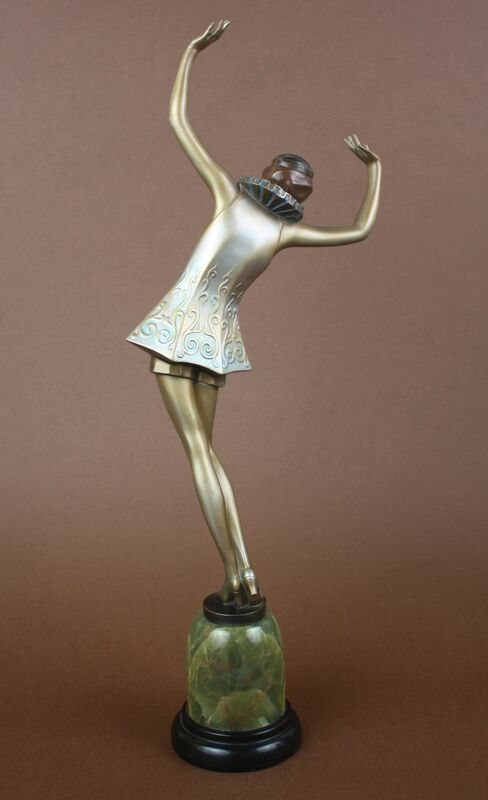 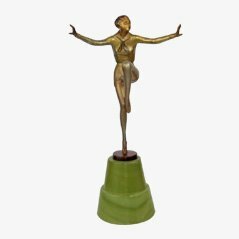 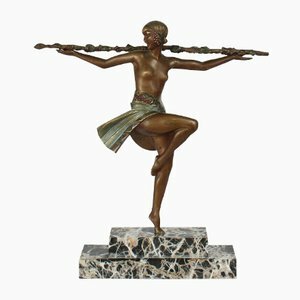 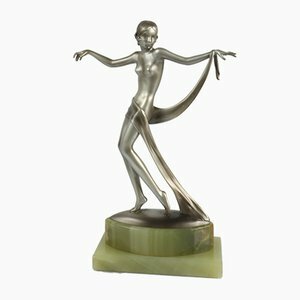 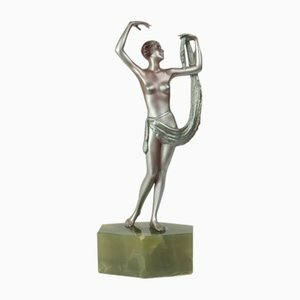 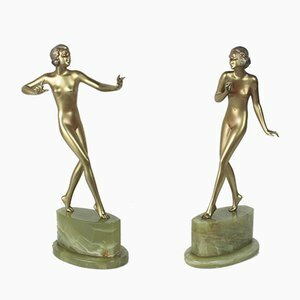 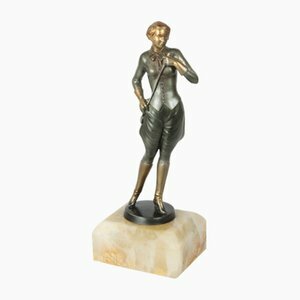 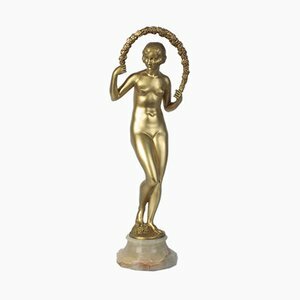 This Art Deco Austrian bronze figure was created by Josef Lorenzl in Vienna circa 1930. 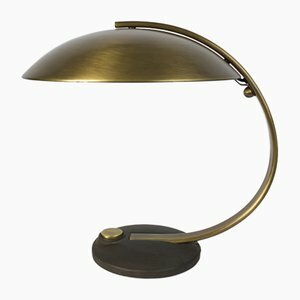 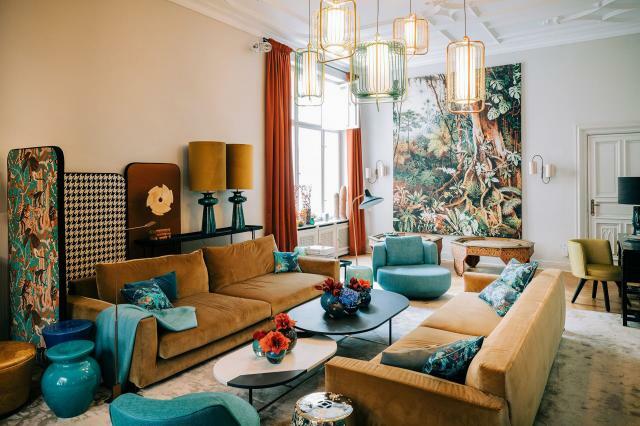 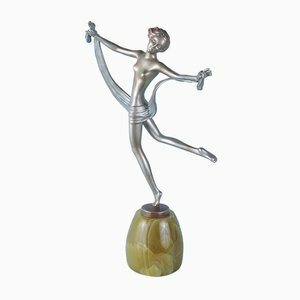 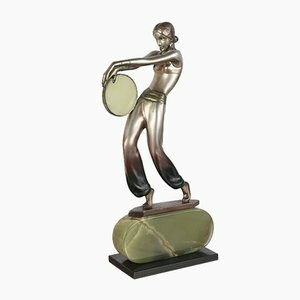 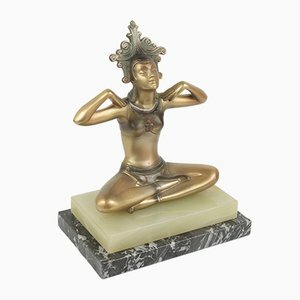 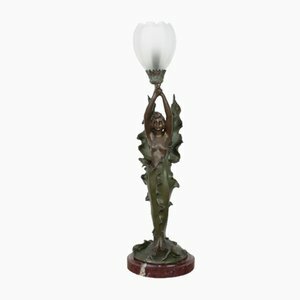 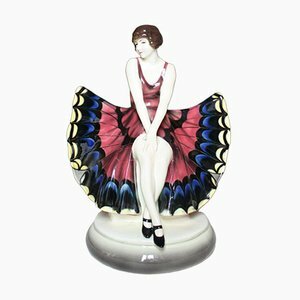 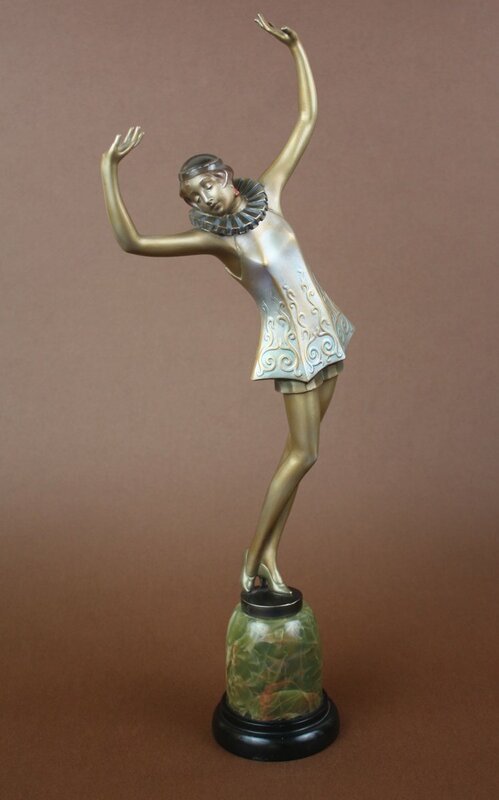 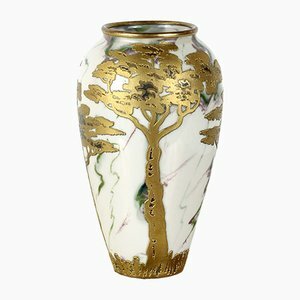 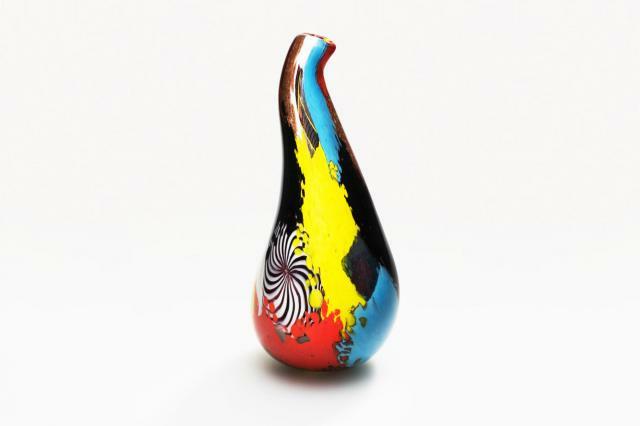 It depicts a stylized dancer, with a gold and colored enameled cold-painted finish, mounted on a green and black onyx base. 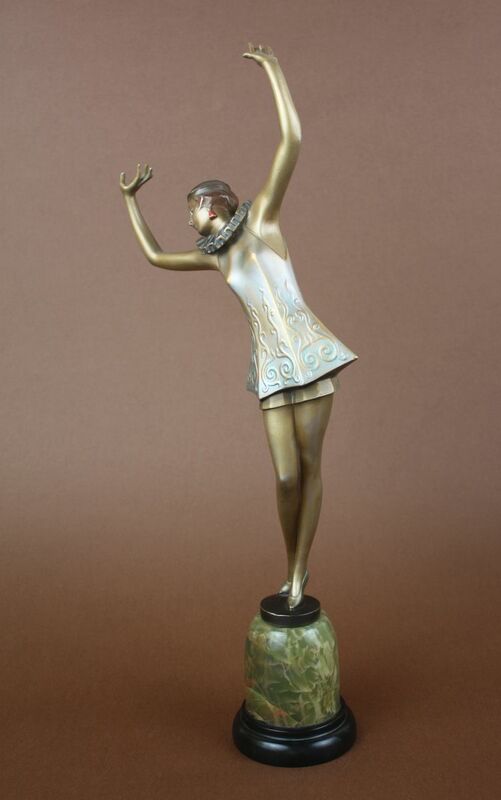 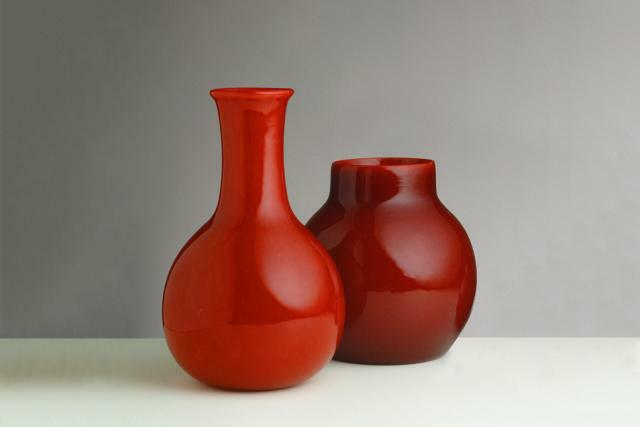 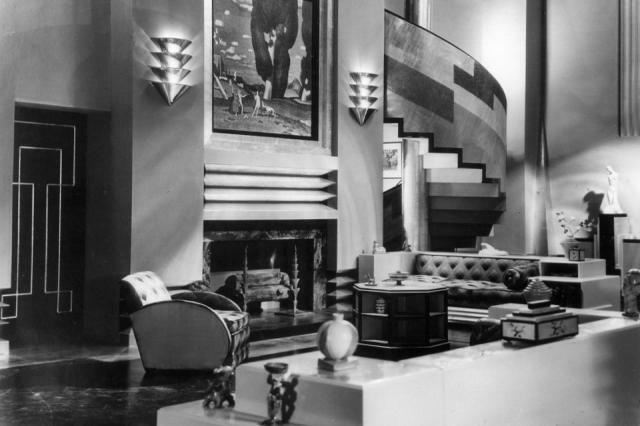 It is signed Lorenzl and is in very good vintage condition with some age-related wear and chips on the onyx. 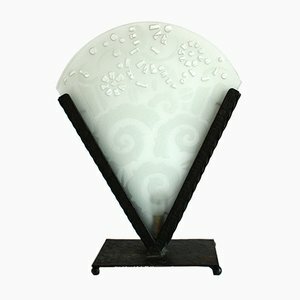 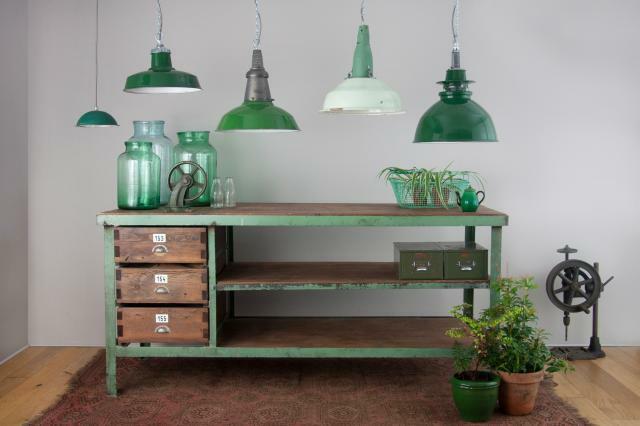 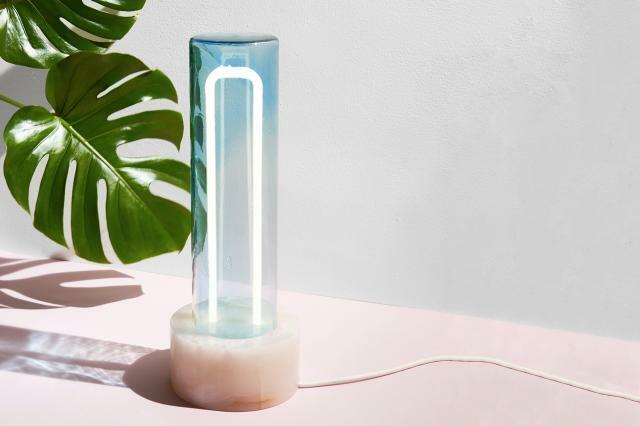 Light wear consistent with age and use, Some age-related wear and chips on the onyx.